First let me talk about a little thing called STEELERS FOOTBALL!!! Batch came out on Sunday and got the job done! His numbers: 12/17 for 186 yards, 3 TD’s, 2 INT’s and 5 rushes for 26 yards…too old…can’t move in the pocket…can’t rush…can’t throw the ball…I think not! As for the rest of the team everyone stepped up their play and once again the defence was on fire. I think this is some of the best defensive play I have seen in years from the Steelers and I love it. Give me the down and dirty, hard hitting football any day! I can’t wait to see what Batch does against the Ravens on Sunday. I think we are heading to Hooters for that one. 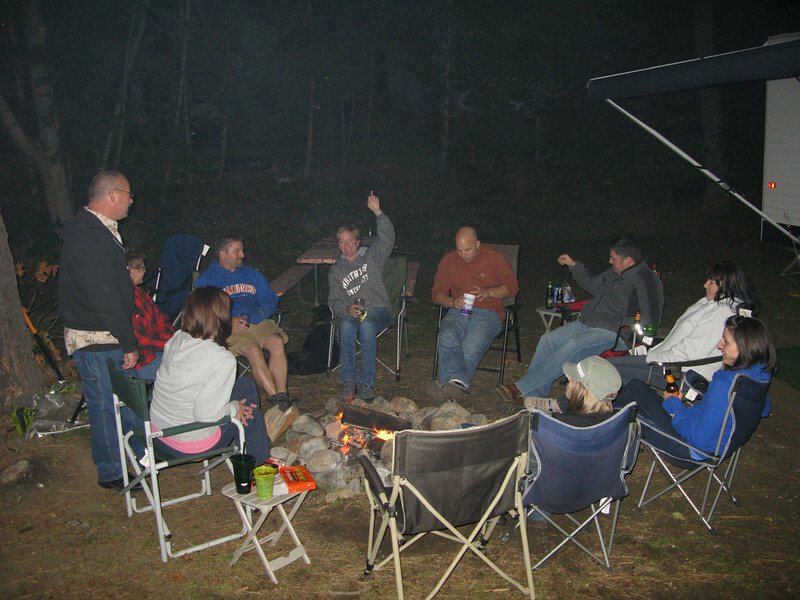 I think we may have started an annual camping tradition. 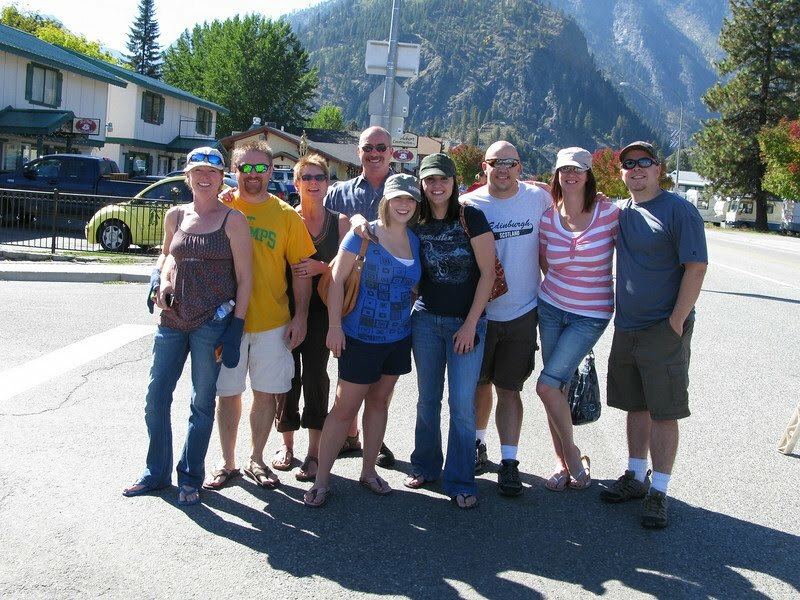 We meaning Mark & I, Bob & Michelle, Candy & Paul, and Mike and Kris have had a Leavenworth camping trip planned since last spring. We have been talking and planning and looking forward to it all summer. We were excited that Bob and Michelle had babysitting for the kiddos so it could be an adult weekend and that our friend Kaleena was able to go with us as well. She is a great addition to the group! Little did we know that it was also the Fall Leaf Festival in Leavenworth this last weekend. 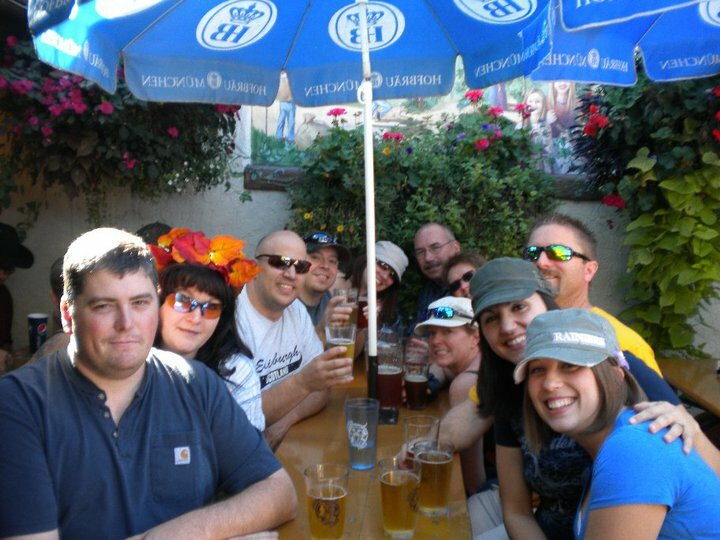 We decided to head into town to catch some of the parade and do what one does to celebrate in Leavenworth…drink a lot of alcohol!!! First stop was the beer garden and brats. 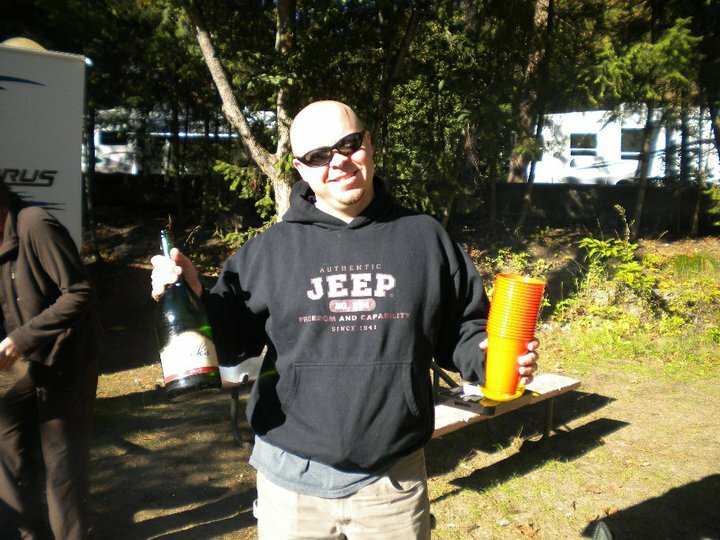 Mr. popular in camp with the makings for mimosas! All of us around the campfire after rolling in Friday night. The gang watching the parade go by. So there is this thing called the Sauerkraut Band made up of mostly older people and they were a ton of fun. They showed up at the bar we were watching football at and the ladies literally took over the tables and were dancing on them. They had a whole conversation about which tables were the most sturdy. Let me just say the best bar to hang out in is the Post Office, just off the main street. 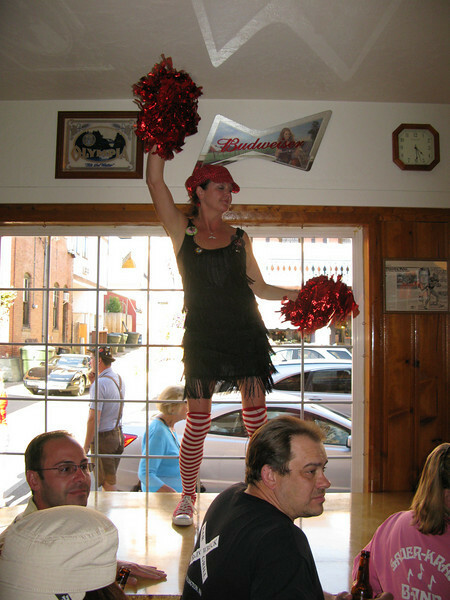 Tons of local flavor and fun!! Oh and they had really good mini tacos! Highlights: Old Fashioned Hot Dogs for dinner the first night, the apps on Kaleena’s phone, breakfast burritos and mimosas in the morning, beer and brats, the cheese shop, Chocolate Cherry wine (don’t even get me started on how good that was), The Post Office Bar, the sun, and most important the Peeps!!! And I just have to give a shout out to my Sister and her family. 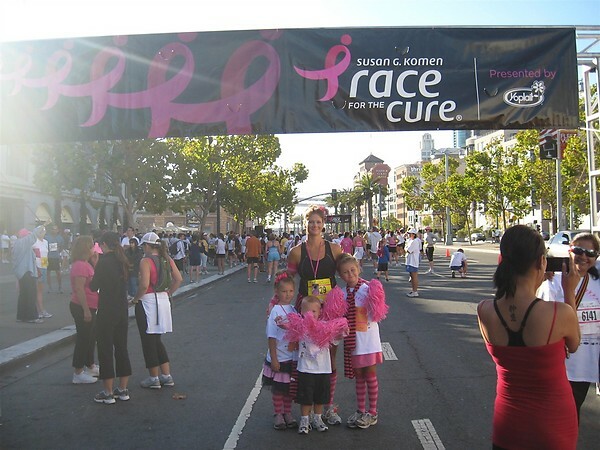 They all ran the Susan G Komen Race for A Cure on Sunday. I am still in awe that Beth and Brian run marathons and train like they do…especially since I hate running with a passion! But I’m even more in awe that my nieces and nephew love it as well. 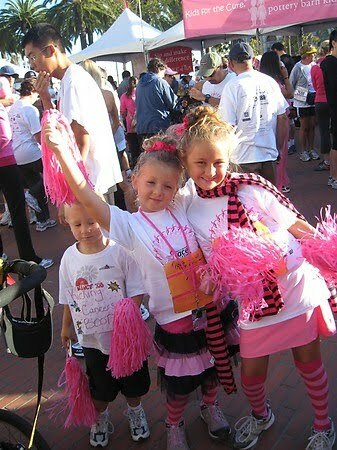 Beth with the kids…love the pink knee highs! I love, love, love this photo! They are so into it!!! Good job guys!!! I was thinking of you!